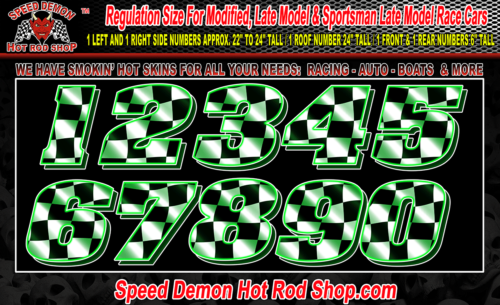 It doesn’t matter what kind of vehicle you have, we sell racing numbers that work on dirt, modified, late models, sprints, stocks, and just about anything that our graphics will stick to. Air Release makes it easy to install! We use a special air release vinyl on all of our printed graphics making it incredibly easy to install. When bubbles form during installation they can be pressed out by hand easily making for a flawless do it yourself graphics installation.